Here is a fabulous 1951 ROLEX ref. 6107 big bubbleback in stainless steel measuring 34.2mm. with engine turned bezel. Notice the original honeycomb dial with natural patina, triangular and arrow markers, original Dauphine hands and blued steel sweep seconds. The ROLEX NA automatic movement was just cleaned-accurate. 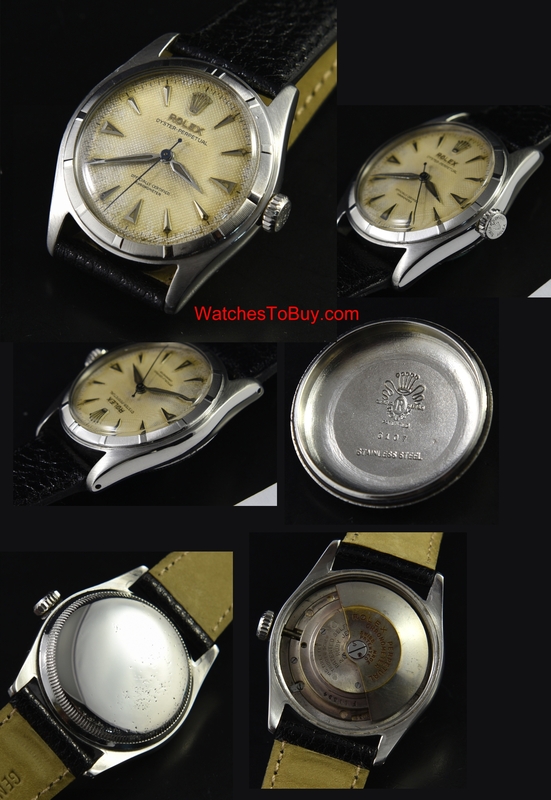 This watch has the uncommon and correct Super Oyster non-screw-down ROLEX crown which was only use for 2 years. 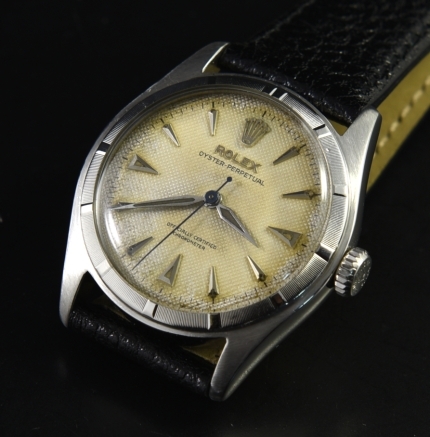 This is a faublous looking vintage ROLEX. Just $3150.